Scrapbookers, card makers, paper crafts, LOOK AT THIS DEAL! 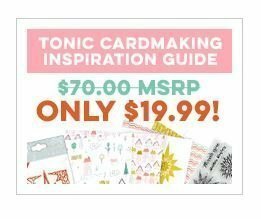 Scrapbook.com has the Tonic Card Making Collection Kit (that is regularly $70) for just $19.99! For a VERY limited time! 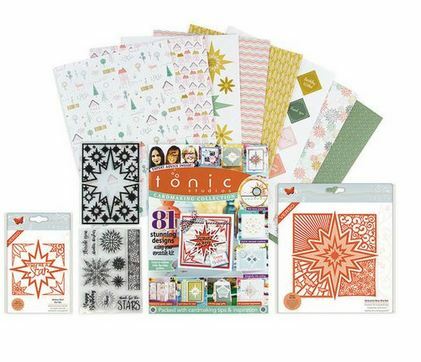 The NEW Card Making Collection Kit from Tonic Studios is perfect for all crafters, from beginner to advance! You will receive easy-to-follow, step-by-step magazine guide which also includes 79 stunning designs that you can create using this kit. Everything from perfect paper folding to expert embossing, off-the-page DIY crafts, clever cards and elegant ideas using your kit. How many scrapbookers/paper crafters fans do I have out there? Should I be on the lookout for more deals in this category? Let me know! Previous post: Target: 20% off Lindt Valentine Truffles Cartwheel that will be valid after Valentine’s on CLEARANCE! Next post: Amazon *Lowest Price Alert* Ticonderoga 96pk Pencils $9.96 | Best Pencils Around!